Adrianne is the only woman to earn a nomination for this award furthermore, 5 years in a row. Additionally, her restaurant is the only one that is not built in a densely populated area (South Beach, Downtown Miami, etc.) 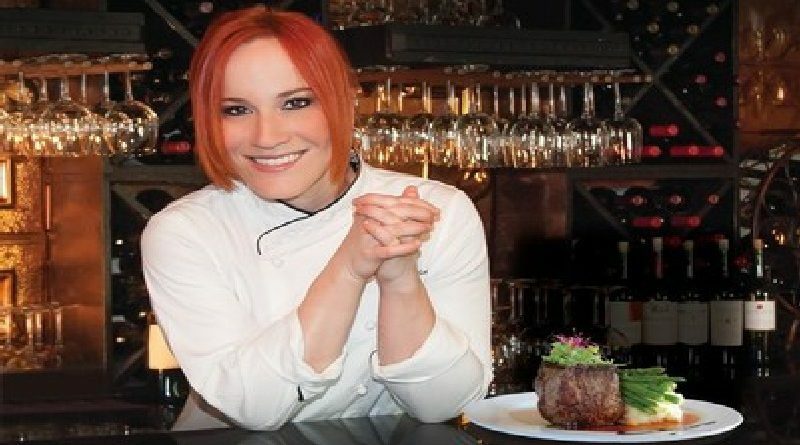 Chef Adrianne and her restaurant, Chef Adrianne’s Vineyard Restaurant, and Wine Bar, are proof that you do not have to fit the typical mold of a restaurant or restaurateur in order to be a thriving success. Calvo’s restaurant is regularly listed among the finest in all of South Florida, even though it is located in a quaint, rural area known as the Hammocks. She has spent her life breaking down barriers and this nomination is proof that she has no intention of stopping now. As she says, “this one’s for the girls.” As she hopes to inspire the younger generation of upcoming female chefs.